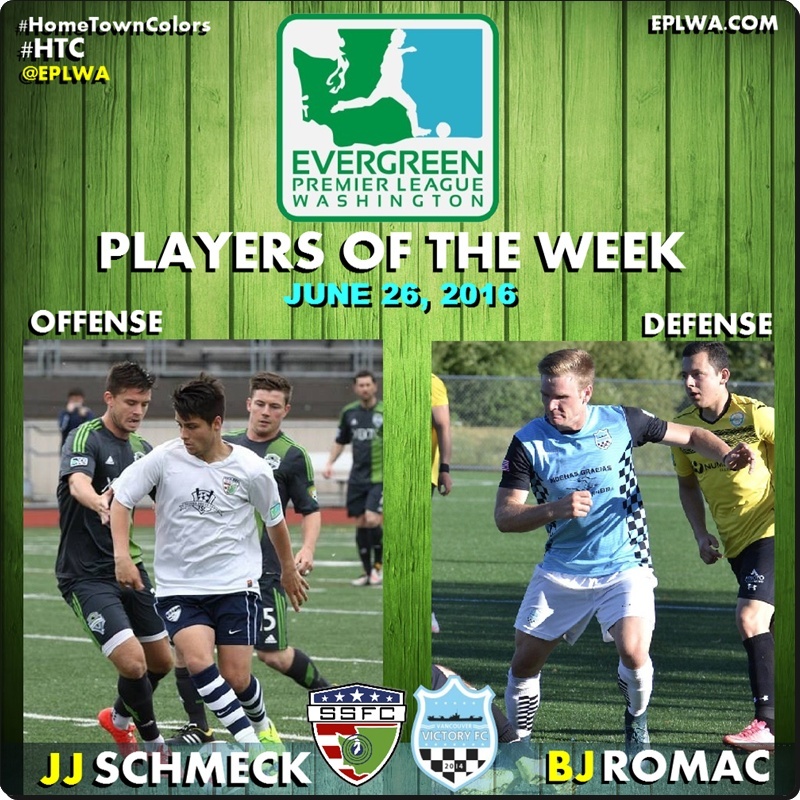 BELLINGHAM, WA— The Evergreen Premier League announces that JJ Schmeck (Offense) of South Sound Football Club and BJ Romac (Defense) of Vancouver Victory Football Club are this week’s EPLWA Rock’em Socks Players of the Week for their performances on June 26, 2016. JJ Schmeck was ready to share last Sunday. Nobody was ready for how far he would go, especially the Yakima United defense. Schmeck dished out four assists in what was eventually a 5-2 win for the South Sound Shock. South Sound FC has given Schmeck the chance to play and improve his game in recent years. They’ve seen JJ progress from community college to a scholarship at Montana State Billings. They’ve seen the kid grow into the man. This year JJ has 5 goals and numerous assists. The Vancouver Victory have played 8 matches and surrendered just 5 goals. They have far and away the best defensive record this season in the Evergreen Premier League. 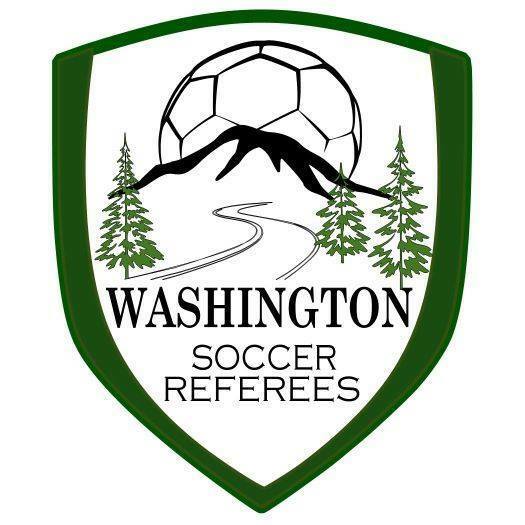 On Sunday that hard work continued as V2FC shut out Wenatchee FC 1-0. In the mix and clamping down once again for the Columbia Blue was BJ Romac. Romac has been invaluable to the Victory all season as a left back defender who helps defend by possession. He runs tirelessly up and down the sideline from flag to flag and creates a lot of problems for team offensively as an attacking outside back. He has yet to be beaten for a goal this season, and Sunday’s match continued that momentum.